A Danish aid worker, Anja Ringgren Loven on Friday, celebrated the graduation of one of the boys she rescued in Akwa Ibom five years ago. According to Ms Loven, Asuquo was brutally attacked with machete after being accused of witchcraft and left for dead. Against all odds, he survived the barbaric attack, mental, psychological trauma and on Thursday, graduated from high school. Yesterday was a very emotional day. I cried a lot of tears. So did our Director of Child Development, Orok, but it was happy tears. I never forget that day, almost 5 years ago today. David advised me not to see him but I insisted. When I saw Asuquo I literally broke down to my knees. There was not a single space on his body that the machetes had not touched. He had even been cut in his head by an axe. For him to survive this barbaric attack was a miracle. The pain he had to endure for a long period was inhuman. After the attack Asuquo lost his faith in humanity. He was weak and he had no desire to stay alive. Who can blame him. It was a long struggle for him to gain strenght. But he was guided by David and Orok. Loved by all staff and the children. Slowly he started to believe in life again. He started school and he studied very hard to keep up with his fellow students. I can say without any doubt that I have never met a young man who has read as many books as Asuquo. He loves to read and reading became his way back. Not long after the attack he become number one in his class and since then he never gave the number one position to anyone. He even become the top student of the entire school. Two years ago Asuquo started High School and yesterday he graduated . His results was one of the best for students to have in High School !!!! 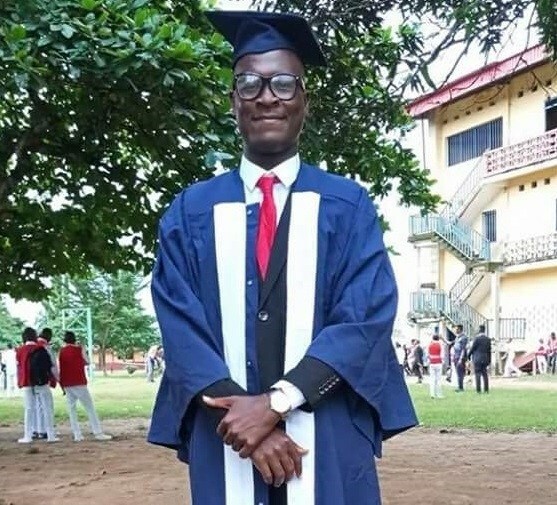 He got 6 B's in Math, English, Further Mathematics, Physics, Data Processing and Civic Education in a school very known for it's excellence and integrity. Thank you so much to the Holy Family College, Abak for your tutorship. We are very grateful for our great partnership with you. 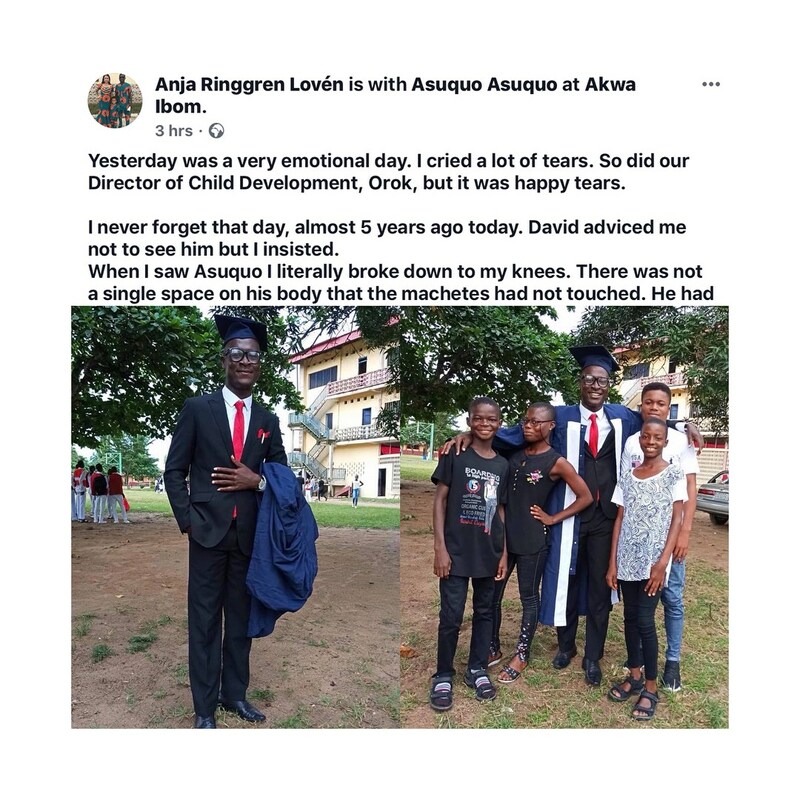 So here we are, 5 years ago since the attack and Asuquo has graduated from High School being among the best students. I'm so proud I want to just scream out loud !!! Yesterday Orok brought some of the senior kids to the graduation party at Asuquo's High School.